Stephen Arthur Frears (born 20 June 1941) is an English film and television director. Frears has directed numerous films since the 1980s including My Beautiful Laundrette, Dangerous Liaisons, High Fidelity, The Queen, Philomena, and Florence Foster Jenkins. He has been nominated for two Academy Awards for Best Director: for The Grifters and The Queen. In 2008 The Daily Telegraph named him among the 100 most influential people in British culture. Frears was born in Leicester, England. His mother, Ruth M. (née Danziger), was a social worker, and his father, Russell E. Frears, was a general practitioner and accountant. Frears was brought up Anglican, and did not find out that his mother was Jewish until he was in his late 20s. From 1954 to 1959, Frears was educated at Gresham's School, a boarding independent school for boys (now co-educational) in the market town of Holt in Norfolk. This was followed by Trinity College, Cambridge, from 1960 to 1963. At the University of Cambridge Frears was Assistant Stage Manager for the 1963 footlights Revue which starred Tim Brooke-Taylor, John Cleese, Bill Oddie and David Hatch. After graduating from the University, Frears worked as an assistant director on the films Morgan! and if..... He spent most of his early directing career in television, mainly for the BBC but also for the commercial sector. Frears contributed to several high-profile anthology series, such as the BBC's Play for Today. He produced a series of Alan Bennett's plays for LWT, taking responsibility for working in the gallery on The Old Crowd while Lindsay Anderson worked with the actors. In the late 1980s, Frears came to international attention as a director of feature films. His directorial film debut was the detective spoof Gumshoe (1971). His direction of My Beautiful Laundrette unexpectedly led to wider notice. The interracial gay romance, based on a Hanif Kureishi screenplay and shot on 16 mm film, was released theatrically in 1985 to great acclaim. It received an Academy Award nomination and two nominations for BAFTA Awards: it is known as the film that helped launch both Frears and actor Daniel Day Lewis. In 1987, Frears worked with Adrian Edmondson on Mr Jolly Lives Next Door, for a 45-minute programme by cult ensemble The Comic Strip Presents. In 1985, Frears also directed a Comic Strip parody of Daphne Du Maurier's novel Rebecca. Frears next directed the Joe Orton biopic Prick Up Your Ears, another collaboration with playwright Alan Bennett. His second film adapted from a Kureishi screenplay was Sammy and Rosie Get Laid (1987). The following year, Frears made Dangerous Liaisons in France, with a cast that included Americans Glenn Close, John Malkovich, and Michelle Pfeiffer. Based on the late 18th-century French novel of romantic game playing, the film received numerous Academy Awards and BAFTA nominations. Frears was nominated for the BAFTA Award for Best Direction. Frears had further critical success with his next film The Grifters, another tale of con artists. The film earned Frears his first Academy Award nomination for best direction. In 2006, Frears directed The Queen, about Queen Elizabeth II. It touched on the social strains caused by the people's mourning for the death of Princess Diana on 31 August 1997. The Queen also achieved immense critical acclaim, box-office success, and awards. Frears received his second Academy Award nomination for best direction, and Helen Mirren won numerous awards for playing the title role. Frears' other films include Western The Hi-Lo Country (1998), which won him the best director award at the Berlin Film Festival, High Fidelity (2000), which features a number of scenes where star John Cusack addresses the audience directly, Dirty Pretty Things (2002), and the British theatre comedy Mrs Henderson Presents (2005). Frears returned to directing for television with The Deal (2003), which depicts an alleged deal between Tony Blair and Gordon Brown over which of them should become leader of the Labour Party in 1994. Frears has also directed two films adapted from novels by Roddy Doyle, The Snapper (1993) and The Van (1996). Frears holds the "David Lean Chair in Fiction Direction" at the National Film and Television School in Beaconsfield, where he teaches. His 1992 film Hero, starring Dustin Hoffman, was a major box office disappointment. Frears was nominated for a Razzie Award for his direction of Mary Reilly. His 2013 Irish adoption drama, Philomena, written by Jeff Pope and Steve Coogan, won the best screenplay award at the 2013 Venice Film Festival and the BAFTAS, and was nominated that year for Best Picture at the BAFTAs and the Academy Awards. It stars Coogan and Judi Dench. The same year, HBO released his television drama Muhammad Ali's Greatest Fight, which depicts the US Supreme Court deliberation over banning Muhammad Ali from boxing for refusing to serve in the Vietnam War. His biopic of disgraced cycling champion Lance Armstrong, The Program, was premiered in the 2015 BFI London Film Festival. Many of Frears' films are based on stories of living persons, but Frears has never met any of his subjects. National Life Stories conducted an oral history interview (C1316/07) with Stephen Frears in 2008 for its The Legacy of the English Stage Company collection held by the British Library. Frears lives in London with his wife, the painter Anne Rothenstein, and their two children. He also has two children from his previous marriage to Mary-Kay Wilmers. Early in his career, Frears made a programme featuring the band the Scaffold and is name-checked ("Mr Frears had sticky out ears...") in their hit song "Lily the Pink". He was one of several celebrities who endorsed the parliamentary candidacy of the Green Party's Caroline Lucas at the 2015 general election. 1999: Won Silver Bear for Best Director for The Hi-Lo Country in Berlin. Frears was made an Honorary Associate of London Film School. ^ "The 100 most powerful people in British culture: 61-80". The Telegraph. 18 March 2016. ^ "Stephen Frears Biography". Filmreference.com. Retrieved 15 May 2017. ^ "Nick Curtis, "'I hope you find it vulgar'"". Standard.co.uk. 10 November 2005. Retrieved 15 May 2017. ^ "Film director returns to Gresham's". Gresham's School. Norfolk. February 2017. Retrieved 17 September 2017. ^ Husam sam Asi (25 November 2015). "Stephen Frears on telling real life stories in cinema – Interview". Youtube. Retrieved 3 April 2016. ^ Elgot, Jessica (24 April 2015). "Celebrities sign statement of support for Caroline Lucas – but not the Greens". The Guardian. London. Retrieved 23 July 2015. ^ "Berlinale: 1996 Programme". berlinale.de. Retrieved 1 January 2012. ^ "Berlinale: 1999 Prize Winners". berlinale.de. Retrieved 29 January 2012. ^ "Stephen Frears reçoit les insignes de commandeur des Arts et des Lettres" (in French). Agence France-Presse. 18 March 2009. Archived from the original on 24 January 2013. Retrieved 20 March 2009. ^ "Award Winners". Odessa International Film Festival (in Russian). Archived from the original on 26 September 2015. 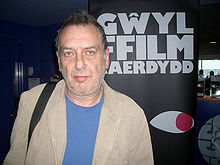 Wikimedia Commons has media related to Stephen Frears.